We offer Quality Driving Lessons at affordable prices without any `cheap` gimmicks, and all our Driving Instructors are DSA Approved Fully Qualified ADI`s. Why should you choose our Driving School? 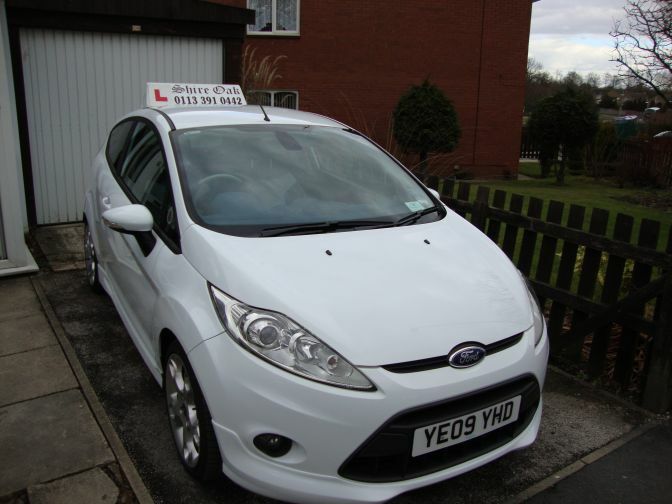 Choosing a Driving Instructor can be difficult when there are so many Driving Schools in Leeds. Shire Oak ensures all our Instructors are trained to the highest standard, and receive ongoing training and development to ensure you receive the best tuition on your Driving Lessons. We also Guarantee that you`ll drive the car as much as possible on ALL your Driving Lessons! All our Driving Instructors are highly trained, professional, patient, reliable and helpful, and will teach you all the skills you need on your Driving Lessons to become a safe and confident driver. We also treat every pupil individually, and tailor the lessons around your abilities and your availability. Learning to drive and passing your test is a life skill which opens doors to a new lifestyle and endless freedom! Also, feel free to browse our NEW Testimonials page, with comments from some of our recent happy pupils! You could also check our excellent Learn to Drive DVD. We also offer Driving Lesson Gift Vouchers, which make an ideal Gift or Birthday Present!